Pick companies, not ticker symbols. Plan ahead for panicky times. Build up your positions with a minimum of risk. As early as you can, avoid common mistakes so you can enhance your retirement savings without losing precious time. Saving for your retirement while you are in your early twenties can be one of the wisest financial decisions you can make. This is proven by the fact that starting in your 20’s can help you gain hundreds of thousands of dollars more than if waited until you are in your 40’s. Nevertheless, deciding to save money may not always be a sure path toward financial success. You must be aware of certain errors most people are prone to commit along the way and which you must avoid in order to safeguard your future. Along with saving for retirement, you need to enhance your financial intelligence on the path to a secure future. So, even without consulting with a financial adviser and assessing your situation, these following tips will give you some general and practical advice on avoiding the common mistakes in saving for retirement. Striking a healthy balance between caution and eagerness helps a lot; hence, do not be too cautious early in your plan. Starting at the age of 25 is ideal, as most experts say, gives you about 30 or 35 years prior to using your retirement savings. With still plenty of time in your hand, you can have the luxury of taking some chances instead of being too cautious. And so, investing into one or two big investments that early on in your career can provide substantial revenues within a long-term investment time-frame. On the other hand, you may go to the other extreme and take the extremely conservative approach, which may prevent huge losses but also keep you from significant returns. Avoid also the mistake of putting all your eggs into one basket, or into one asset type. Let us consider the stock market. Assuming you put your whole retirement portfolio into stocks and you gained a massive $1 million return over the years. At 59, with one year remaining until your planned retirement, the market suddenly falls and suffers losses of 40% and eating away $400,000 off the stock value. It would take short of a miracle to recover that huge loss within one year! The solution is to diversify. Balance your savings and choose more conservative investments in the few remaining years of your career. Majority of people make the mistake of not taking the time to study the fees connected with retirement savings. One percentage point increment in fees could mean costs of up to tens of thousands of dollars over the entire duration of an account. Analyze fees like a bee searching for honey and avoid entering into an account without a thorough picture of the fees required. Setting up retirement goals at the start beats having to proceed aimlessly, even though life is unpredictable and you will always experience such situations as salary reduction or other external economic factors. Having exact amounts to aim for and deciding when you need to enter into new investments will help you easily manage your finances, since you know where you are exactly at the scoreboard and how much time you have left. How to manage taxes well forms a big part in a successful retirement planning. Certain accounts will give you the option to defer tax payments until maturity, allowing your money to grow more with interest. Others demand that you pay post-tax payments, freeing you from having to pay when you withdraw the money. To know more on this matter, consult with a financial adviser to decipher the pros and cons of either of the two schemes. The wise always plan ahead, enhancing the likelihood of securing a secure and comfortable retirement with sufficient money to support their needs over the coming golden years. The key is to avoid those mistakes that erode your portfolio’s full potential or stunt its growth. Commit yourself to these proven guidelines and rest easy knowing a bright future awaits you. What is the difference between investing money and saving money? Although they seem to be similar, they mean entirely different things. Knowing the difference and applying that knowledge can help you build your personal wealth. So many novice investors do not realize the fact that the two have different uses and have distinctive roles in their financial approach and balance sheet. As you begin the adventure of enhancing your wealth and establishing financial freedom, learn how to avoid problems by properly dividing and allocating your money. A lot of individuals, in spite of having great portfolios, lost everything for not having given sufficient respect to cash in their portfolio. Cash has exceedingly greater use than merely for making more cash. To appreciate the use of cash, let us see how investing and saving differ. The idea saving money involves keeping hard, cold cash in a secure place, as well in liquid (that is, easy to access or sell in a matter of days) assets. This includes checking accounts and guaranteed savings accounts. You can also include U.S. Treasury bills or money market accounts, although the latter involves a lot of monitoring work. Most of all, your cash funds should always be ready to use for your needs; available at any time for immediate withdrawal with the least delay under any circumstances. Most rich and famous investors, including veteran investors who went through the Great Depression, strongly recommend hiding plenty of cash in secret storages even if that will incur a big expense in terms of profit loss. Although the papers did not carry the news, back in the 2008-2009 market collapse, some hedge fund managers were apparently asking their spouses to withdraw as much cash as possible from ATMs, expecting the whole economy to collapse and limiting the availability of greenbacks for a short period..
After you have ascertained the preservation of your capital should you consider secondary measures for money you have kept in savings. That is, hedging against inflation. Investing money involves using your money or capital to acquire an asset with the potential of producing a safe and reasonable rate of return, allowing you to build wealth even through volatile periods, which can run into years. Genuine investments have a certain factor of safety, usually in the form of assets or owner returns. From your basic lesson in novice investing, the most productive investments are such assets as bonds, stocks and real estate. What is the Desirable Ratio between Savings and Investments? 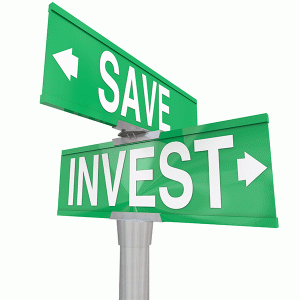 As a rule, saving money should generally take precedence over investing money. Consider it as the foundation over which you will erect your financial house. For a very simple reason: Unless you have inherited a sizeable amount of wealth, your savings alone will generate the capital to support your investments. During the lean periods when you will need cash, chances are you will have to sell your investments at the most inopportune time. Such an event would set you back by a big stretch. As usually recommended by experts, your savings should be enough to address all your personal needs, such as food, mortgage, utility bills, loan payments, insurance costs and clothing expenses for a period of six months. Hence, in case you lose your job, you still have enough time to cope with the crisis without the daily stress of working for a regular salary. Whatever specific goal in your life that will demand a big amount of cash for at least 5 years should be powered by savings, not by investments. In the short-term run, the stock market can be considerably volatile, taking away 50% of its value within a year. Buying a house can be a prime example for saving your money in real estate instead of investing it. With these things under your belt, you can acquire health insurance as your first line of defense in your portfolio. One possible exception is contributing to a 401(k) plan at your company in order to get free money from your employer’s matching contributions. That is on top of getting a large tax break for contributing to your retirement account. 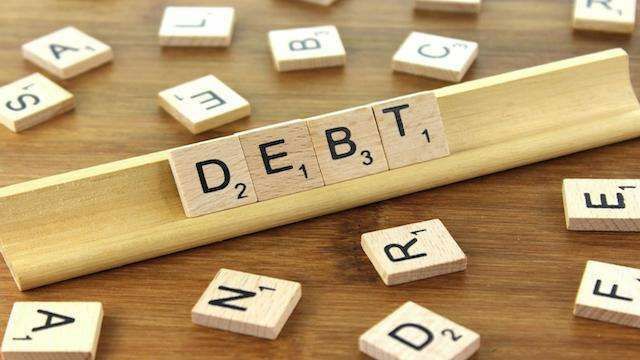 You also have material bankruptcy safeguards for assets held within such an account against any non-payment or default on your part. Avail of more information on how you can start saving money by reading online materials for beginners on how to save money. Get hold of resources, articles, essays, and lessons teaching you how to save money, how to invest money and how to build your personal wealth. It may seem scary for now, but remember that even successful and rich people began by earning money, living within their means, saving money and investing in ventures that brought interest, dividends or rentals. You can be as good, if not better, than they are. It is all a matter of gaining the same knowledge and wisdom to allow you to act as prudently in handling your money with discipline in order to reap a certain measure of success. In the same way that they did their homework and applied the right principles of money management, saving your own money can be as simple as adding 1 and 1 to get 2.